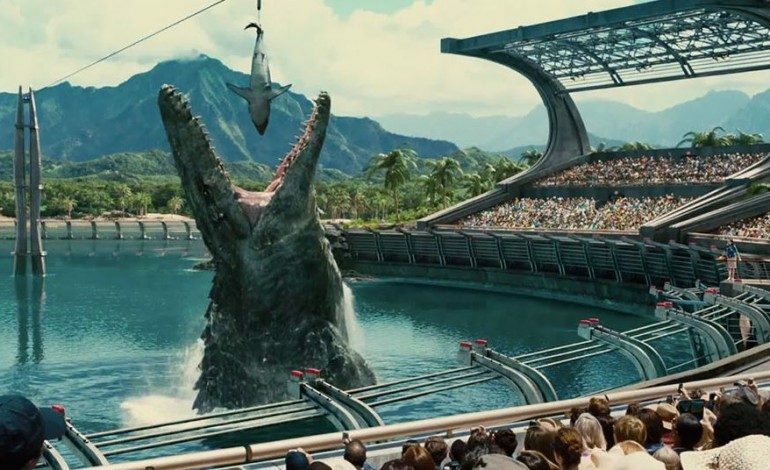 While the Jurassic Park franchise has always been big, most probably weren’t expecting 2015’s Jurassic World to blow as many box office records out of the water as it did. The film gained moderately positive reviews, but its real accomplishment was making over $1.6 billion worldwide. Starring Chris Pratt (Guardians of the Galaxy) and Bryce Dallas Howard (The Help), the sequel takes place in the newest version of the fantasy adventure land, now called Jurassic World. Of course, dinosaurs get out and wreak havoc across the park, which seemed to create the perfect summer getaway film for moviegoers. Jurassic World was directed by Colin Trevorrow, a filmmaker that had only previously done the small indie drama, Safety Not Guaranteed. But despite his lack of blockbuster experience, he managed to pull off one of the successful films of 2014. And because this is the age of sequels and franchises, Universal quickly gave the go-ahead for Jurassic World 2. However, Trevorrow declined to helm the sequel, and so J.A. Bayona (A Monster Calls) was brought on-board to direct. In a recent interview with LRM, Bayona not only discussed his excitement for the upcoming project, but also confirmed the plans for an entire trilogy. It’s very interesting. The whole Jurassic World is a trilogy that Colin Trevorrow has envisioned. We’re writing the second chapter, and it’s very interesting where he’s leading the story. I grew up watching Steven Spielberg movies and I love those movies and the legacy, so it’s a question of being truthful to the legacy and at the same time, bringing new stuff that people will appreciate. We are still six months ahead of shooting, and so far, so good. It’s very exciting right now. Since Jurassic World didn’t get the warmest welcome from critics, hopefully someone like Bayona can bring a more confident hand to the sequel. Chris Pratt and Bryce Dallas Howard are both officially returning for at least one more film, so hopefully their continuing presence in the franchise will give it even more of a chance of succeeding. Steven Spielberg created magic that is Jurassic Park back in 1993, and it’s truly amazing to see where the franchise has come since then. Jurassic World 2 opens in U.S. theaters on June 22, 2018.